As an events or community fundraiser you’ve got a lot to juggle and a lot of hats to wear; from risk assessments, budgets and ROI plans to Gift Aid and donor stewardship – there’s always enough to keep you busy. 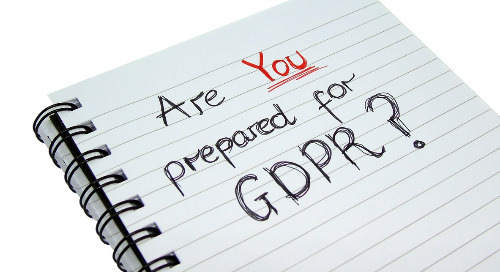 The last thing you need is a soup of acronyms to confuse your day – but data consent is important and the General Data Protection Regulation (GDPR) is coming in May 2018. As a fundraiser, what does that mean for you? The Information Commissioner’s Office (ICO) don’t have a fun job when it comes to issuing guidance around GDPR. They can’t seem to satisfy everyone. (Or anyone?) 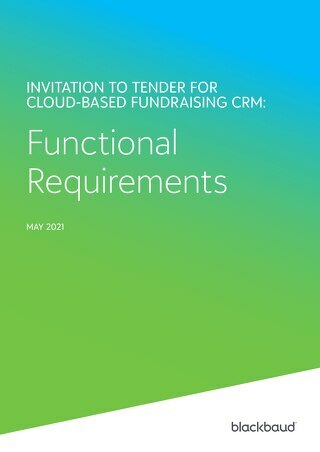 But one thing is clear – your donors’ data processing consent is of paramount importance, and with the introduction of the new Fundraising Regulator in the UK your processes need to be spot-on from the beginning. Be patient. With all that is going on at the moment, there will be a lot of conflicting information thrown around. Trying to make sense of it can be frustrating and counterproductive. 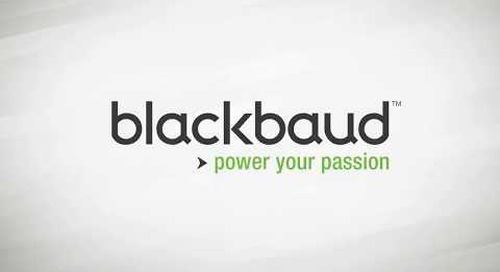 If you want the facts as they stand today, you can check the ICO’s pretty useful guide, or the Blackbaud website. Keep in touch. 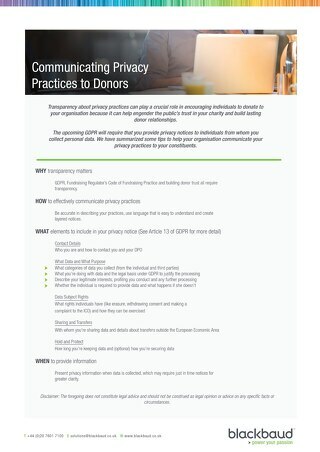 Regular contact with your donors is integral to successful event fundraising. Every party involved in these discussions understands the importance of good stewardship and a good donor journey online and offline. Being sensitive to your supporters and their needs will help you understand how they want to give consent. Be passionate. 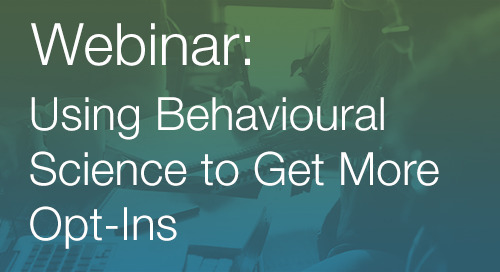 You should be obsessive about constantly improving the experience your supporters and donors have whilst engaging with you – putting your supporters at the heart of what you do will insulate against a lot of common errors. 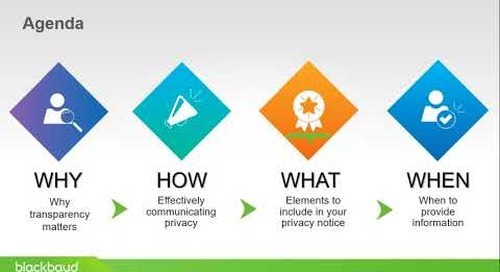 See consent capture as an avenue to understand your supporter base better – and how they want to interact with you, rather than a roadblock. 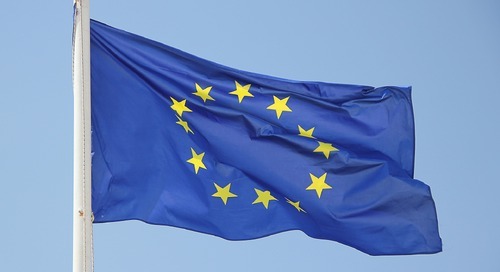 In the meantime – be sure to look forward to June, when the ICO will be releasing an update on guidance surrounding the implementation of GDPR. 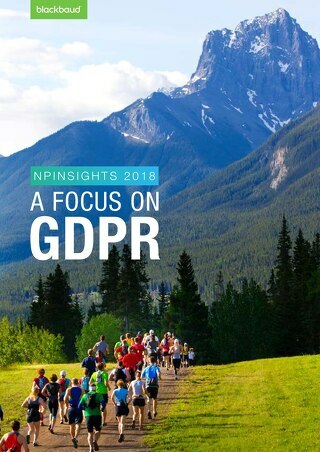 With GDPR quickly approaching, as a fundraiser you need to know that the ICO wants to ensure non-profits are transparent in their processing of supporters’ personal data and that donors give informed consent to such activities. This consent requires “clear affirmative action”. 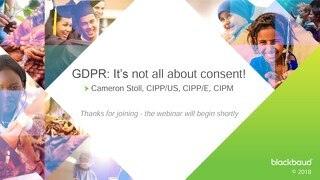 Knowing what that consent looks like, and keeping an accurate record of when consent was given are the first steps towards compliance with GDPR. 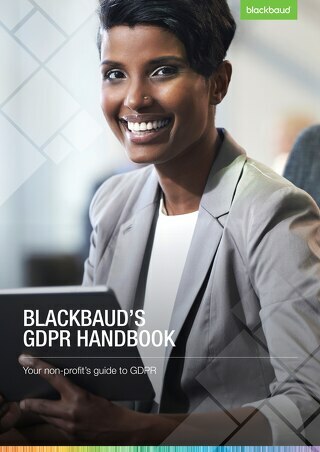 Keep an eye out for more bitesize GDPR posts from Blackbaud. 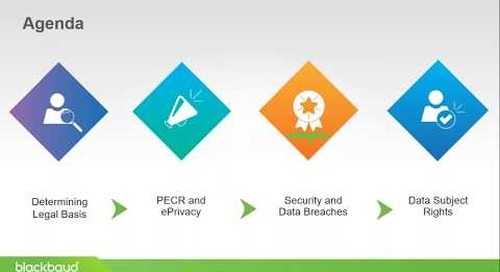 We’re right alongside you as the full impact becomes clear and more details come to light, and will keep up a steady stream of content to help you – and your data – get ready. 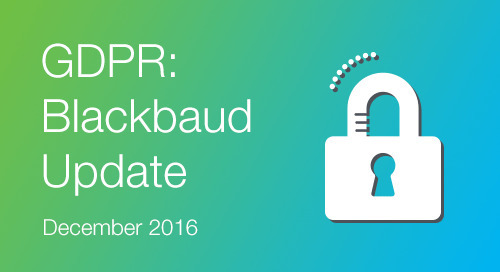 The post GDPR – The Basics for a Fundraiser appeared first on Blackbaud Europe.